A standard of care states what a person must do or perform in a health care activity. One particular example of standard of care may illustrate what you should do if you found a patient just fallen to the floor. 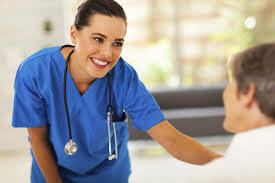 The certified nursing assistant must call for help, adhere to the patient and look at the person to see if they are hurt or needs further treatment. If you can’t do these things, you are not following the standard of care. If you don’t do what is expected to a nursing assistant, you may be held accountable for any harm or damage done to the patient or citizen. 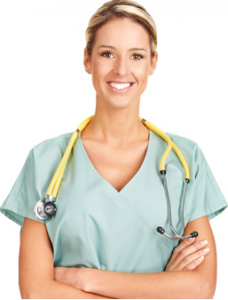 Different states have their own standards of care that must be followed by nursing assistants. Nursing assistants must report abnormal signs or symptoms they observe during their shift. In case a nursing assistant doesn’t report shortness of breath to the nurse, this nursing assistant isn’t providing care based on the standard of care in their state. An institution or association may have their own standards of care. For instance, our national law states that patient and resident health information have to be kept discreet, that means no other person should access it unless authorized. In case a nursing assistant tells other people about the health condition of another individual, they’re not following a standard of care. All workplaces have a policy and procedure book that has standards of care. There are certain rules and regulations that must be strictly followed. States provides the scope of practice for nurses, doctors, nursing assistants and others. They list exactly what a person can and cannot do in their job. If nursing assistant assists an individual with their medicines in a nursing home, they’re doing things outside of their scope of practice. They’re only allowed to do this in an assisted living home. Also, if a nursing assistant provides a person their medicine anywhere, they are not following their scope of practice. Nurses face different challenges daily, not just in the hospital but in their personal life as well. Nursing is actually a career with lots of challenges. Nurses are confronted with emotional and professional demands that lots of people can’t even imagine. Taking responsibility for the wellness of people’s lives is a big challenge for individuals employed in healthcare. There have been numerous enhancements to controlling most of the physical perils of the nursing care. Good examples include universal safeguards and safety practices. However, there are concerning hazards to some nurse’s mental and emotional health. 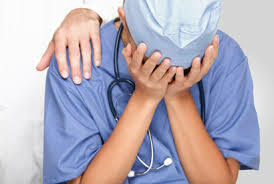 Stress is associated with people working in the hospital. It may be the emotional and physical reaction experienced when a person is put in a situation he or she is not capable of handling. Nurses face different types of patients with different kinds of health conditions. These put so much stress on them while doing their own routine. Signs and symptoms of stress include fatigue, disrupted sleep programs, high blood pressure and pulse, appetite loss or overeating, muscle tension, decreased libido, utilization of alcohol or drugs, irritability, eagerness, sadness, poor concentration, anxiety, worry, ambivalence, memory lapses, and lack of spontaneity. Physical results of stress may include cardiovascular disease, stroke, immune disorders, putting on weight, weight reduction, intestinal problems, diabetes, discomfort, headaches, fertility issues, allergic reactions, skin conditions, hair thinning, periodontal disease, and much more. Stress could be handled in a number of ways in which can result in enhanced overall health and wellness for people employed in healthcare. Though the career has so many challenges, it’s still a satisfying profession which has a profound and positive impact on many people’s lives. In most items in life, there are advantages and disadvantages; accelerated BSN Programs are no exemption. You might be considering searching for one of these programs but are uncertain as to whether the program is right for you or not. After all, you do not want to spend lots of cash and many years of your life acquiring a degree only to find out that you have made an error. To help you make your mind up, have a look at the following advantages and drawbacks of searching for this type of course. Time – The conventional way of acquiring a BSN Degree is to sign-up in a four year program; many people do not have a lot of time and/or cash to do this. But with an accelerated program a BSN Degree can be gained in as little as 12 months, guaranteeing you can enhance your profession in the medical area as soon as possible. 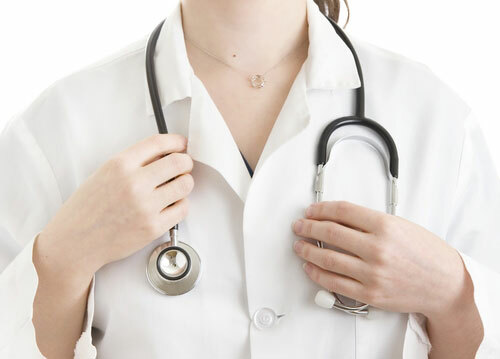 Career Opportunities – Many companies in the medical market require workers to keep a bachelor’s degree for the roles that come with more liability. Without such a degree, the choices available to you in the medical area are restricted. Higher Pay/Benefits – As more profession choices demanding an advanced level of liability start up to you, so does the cash you can generate. Your reward for more complicated and accountable tasks will be by means of greater pay and better advantages. Workload – Although a bachelor’s degree can be gained in a smaller period of your time and energy and effort, this certainly comes at a price, the workload. Extreme medical work and heavy class workloads, which need to be finished within tight timeframes, are the standard. This places people off accelerated BSN programs, and so, many opt to sign-up in a standard 4 year program. Other Commitments – If you have children, a partner or any other responsibilities, and/or need to work full-time, this type of program may not be for you. As mentioned, the workload is intense (after all, a 4 year course is compacted into a 12-18 months one), meaning that it can be difficult to devote time to other areas of your life.